We can't wait to meet you and talk about your chosen course, take you on a tour of the campus, and give you the opportunity to meet some current students. This guide will help you to prepare for the interview. It also outlines what you can expect from the day and what you need to bring with you. The day will start with refreshments and a short welcome talk to tell you about life on a college course at Brackenhurst. The tutors will then tell you more about your chosen course. This is also a great chance to meet other people applying for the same course as you. As part of the interview, you’ll be required to attend a practical session. For your own health and safety, please remember to remove all jewellery, piercings (or cover with a plaster) and to make sure that your nails are cut short. Please bring a record of achievement from school or college, or evidence of any other achievements you think are relevant. You’ll also be required to bring copies of your birth certificate. Please wear appropriate clothing and footwear – no sandals, high heels or flip-flops. It can get very muddy walking down to the Animal Unit! You’ll be given a lab coat to wear during your practical session, which will take place indoors at the Animal Unit. 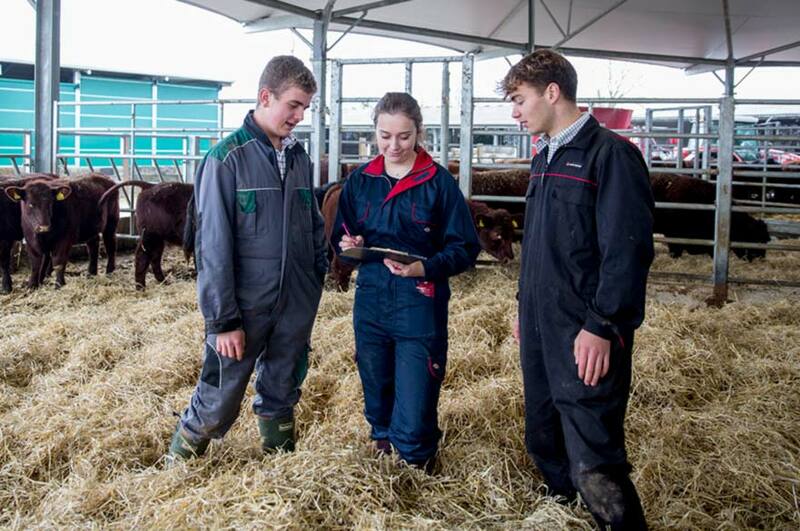 Please bring overalls and wellington boots with you for a practical session on the farm yard. Don’t worry if you don’t have overalls at the moment – we have some you can borrow. Please wear appropriate waterproof clothing and footwear for a practical session, this will take place outside in our gardens and fields or in the laboratories depending on the weather. Your interview will include a riding assessment that takes about 20 minutes. It’ll consist of basic flat work in walk, trot and canter, with and without stirrups, and you should be able to jump a fence of 2’ 6”. As part of the University’s health and safety policy, we will weigh all applicants before the riding assessment. The current weight limit is 14 stone. Please bring the following for your riding assessment. If you don’t have the correct hat, you won’t be allowed to ride or work horses. Body protector: A BETA Level 3 (purple label, 2009) body protector must be worn. Correct riding attire: Breeches or jodhpurs, shirt and tie. Hacking jacket or sweatshirt. Gloves, hairnet, and either riding boots or Jodhpur boots worn with plain gaiters or chaps. No jewellery: This includes earrings and all piercings, apart from a watch. The criteria we’ll use to assess your performance on the interview day include your ability to communicate effectively and clearly; a demonstration of your passion for the course; and your ability to listen and follow instructions as part of your practical session. Will I be able to meet other students on the day? You may have the chance to speak to students currently studying college-level courses at Brackenhurst. This is a great opportunity to find out about student life here, and to ask any questions about their studies. There’ll be an opportunity to get a feel for where you’ll be studying by going on a campus tour. Ask one of our Student Ambassadors in red clothing. Can I bring my parents, guardians or guests with me? Parents and guests are more than welcome to attend. After the welcome and course talks have finished, the interview process will last no longer, than two and a half hours, and parents and guests are welcome to wait. What if I have other support needs? 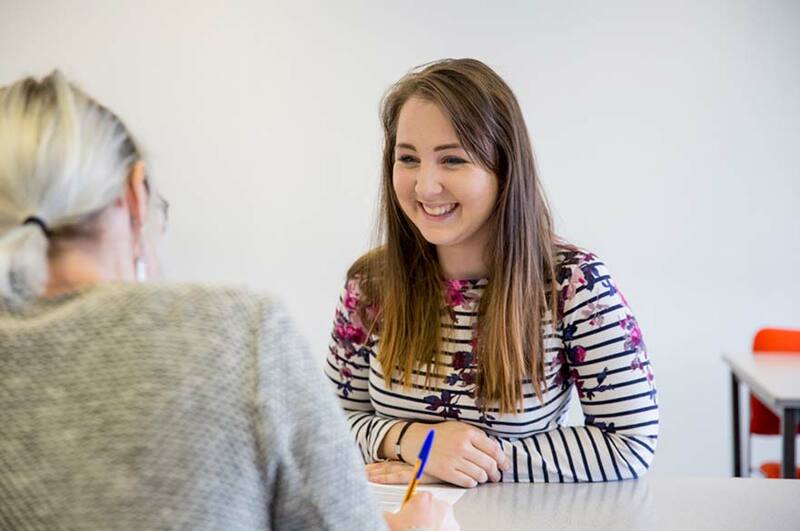 If you are disabled or require additional support at your interview, please contact Nottingham Trent University's Disability Support Service team on +44 (0)115 848 2085, or email support@ntu.ac.uk for more information. If you have any questions about the interview process or about your application to study on any of the college courses, please contact the Further Education Admissions team at fe.enquiries@ntu.ac.uk or call us on 0115 848 5299.